Tis the season to fall in love. For many, nothing goes better with love than a few cocktails. Oh I know most people think about flowers and candy on Valentine's Day, but many of the relationships being celebrated on February 14th started in a place where cocktails are served. Throughout the world this Valentine's Day couples will head back to places where cocktails are served for longing looks through bottles and glasses. The question is, on this night of love, what is a perfect Valentine's Day cocktail and where does it come from? That's not a question you ask on Valentine's Day? Why not? St. Patrick has green beer and Guinness, St. New Year (made that up) has champagne, St. Nick has eggnog-why wouldn't St.Valentine have a cocktail? Actually since he's the Saint of love, shouldn't he have multiple cocktails? Here are some of my favorite Valentine's Day cocktails, with meaning, and the best place to have them if you can get there for this day of love. It's the cocktail of many names. Some call it mulled wine, gluhwein, or even jul glogg, but this warmed up wine is a perfect cocktail for Valentine's Day. Plus it's red, yay for Valentine's Day red cocktails! Bonus is that throughout much of the Northern Hemisphere it is still damn cold in February so a warm up is just what the doctor ordered. Extra bonus after you've taken a romantic stroll or carriage ride with your significant other in that biting cold. The recipe is simple for at home mulling- all you need is a heat source, red wine, a little brandy, some cinnamon, and fruit of your choice. Many places around the world serve this concoction of love all winter. Our choice for traditional and romantic glogg is in Prague at Cafe Bar Wigwam. Located in the Mala Strana around the corner from the John Lennon Wall and a short walk from Charles Bridge, the low lighting, warm glogg, and Best of the Doors box set on loop may just turn your girlfriend/boyfriend into your fiance at Wigwam. 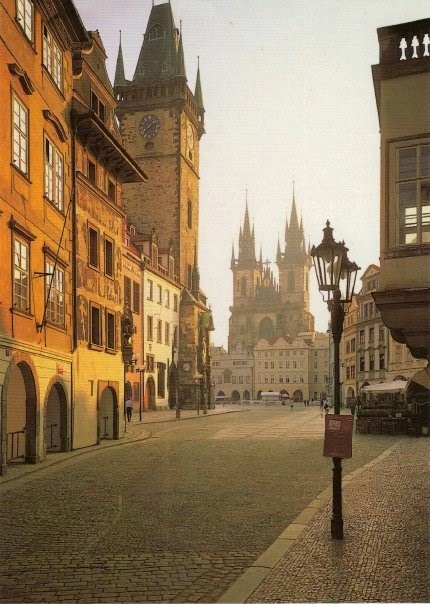 The magic of Prague helps add to the romance as well. Wait, didn't you just say that it's really cold out and you needed to drink warm wine? I did, but that's for us who are dumb enough to have not made it out of the cold places yet. For all of the smart folks (I tease, we're not dumb for enjoying cold, we just need help) traveling to warm places there is another Valentine's Day red wine cocktail. This time it's all parts refreshing vs. warm up from frostbite. Another simple recipe, this time though no heat with red wine, brandy, fruit, and a fridge to chill. Valentine's Day is all about sharing with the one you love and Sangria is all about sharing a pitcher, and it is another red cocktail like a candy heart. 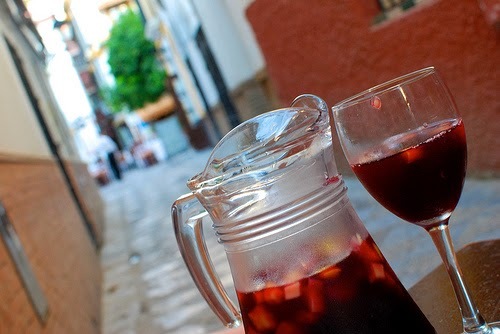 The best place to share this with your significant other and fall in love all over again is at any tiny table outside a bar in the kissing lanes of the Jewish Quarter in Sevilla, Spain. The narrow quiet streets allow for conversation, drinking, and special moments with little outside disruption. I didn't even know I had a color theme going until I got to this one. This Belgian beer, like the wines up above, is red like that sweater you're going to wear out on Valentine's Day. A kriek beer is a cherry sour beer traditionally brewed in and around Brussels, Belgium. The cherry in this lambic style brew are used in place of hops for flavoring. Stereotype "fruity beers" all you want but sharing a few of these flavorful brews on Valentine's should be high on your list. There are a few variations on the style, most commonly the sweetened vs. unsweetened. 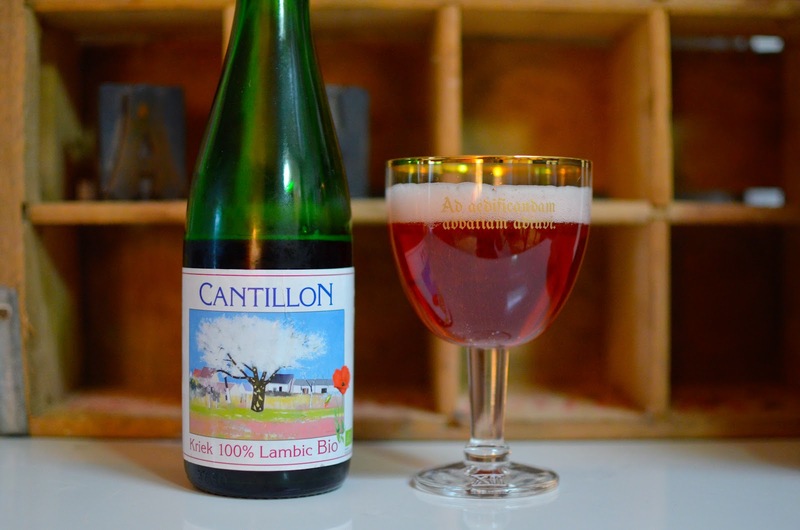 You'll readily be able to find the sweetened Lindemans Kriek Lambic around the world, but my favorite (and more elusive) is the Cantillon Kriek Lambic which happens to also be unsweetened. Best place to celebrate this style and your love on Valentine's Day is Brasserie-Brouwerij Cantillon in Brussels. Go to watch the brewing process, tour the museum, and hold a glass of great....I mean your loved ones hand with great beers on the table. The original "Old Fashioned" is made with whiskey, bitters, water, sugar and orange. Some updates have been made to substitute bourbon in for the whiskey and even some inventive spots (like The Maison in New Orleans) have begun to do an orange infused bourbon to kick it up a notch. But we're talking red here, Valentine's Day isn't about orange. So my Valentine's Day old fashioned is the Wisconsin Old Fashioned! Brandy replaces whiskey and bourbon because brandy is the spirit of Wisconsin. Cherries for muddling and garnishing replace the orange and voila, your cocktail is not only has red in it but it's also the best cocktail out there (biased). 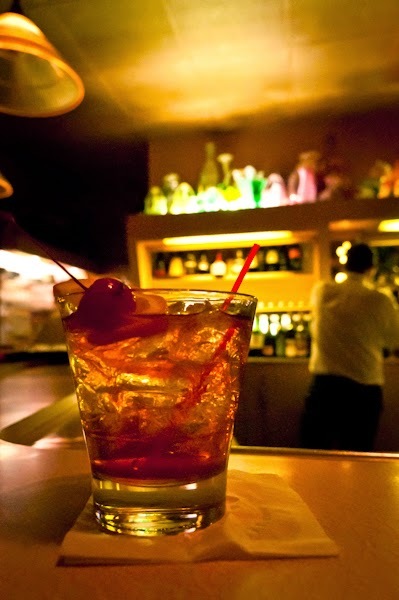 The best place to celebrate the Wisconsin Old Fashioned is at any "Supper Club" in the state. A supper club is different from a restaurant so you can't just walk in to any old place and think you're having a supper club old fashioned. You'll find a supper club on the edge of any small town, a lot of times overlooking a lake, with a big sign for Friday Fish Fry. Enjoy, der hey. Seems like a strange cocktail to celebrate Valentine's Day with but let's break it down a little. February 14th this year is on a Saturday. Blood Mary's are traditionally enjoyed in the morning through brunch. That means this year instead of just celebrating with the one you love at dinner time, you can celebrate your love all day long and there is no better way to do that than with some nice RED Bloody Mary's. Traditional Bloody Mary's have tomato juice, vodka, pepper, and a small garnish of olives or celery. These days though the garnish part of this cocktail has turned into an art with items such as full sausages to cheese to hamburgers adorning the new meal in a glass version of this cocktail. Do you know why else the Bloody Mary makes this fine Valentine's Day list? 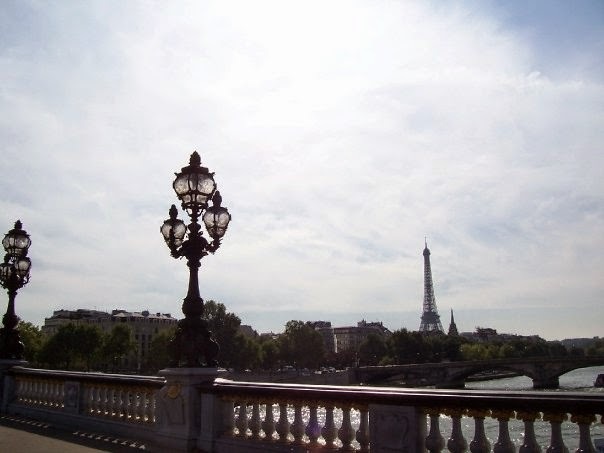 The original home of the Bloody Mary also happens to be the City of Love. No not Philly, Paris, and when you go to Paris to fall in love you need to check out Harry's New York Bar the home of the original Bloody Mary and watering hole to many famous 20th century artists. So this list turned out to be tasty red drinks on Valentine's Day, hmmm. Flowers are nice, chocolates are great, but sharing a special cocktail with that special person in your life makes the night even more magical. Don't just get order your regular, order something red in a nice warm place and enjoy your Valentine's Day.